The Willows Public House was first opened by Maxi Walshe in 1960. He ran the pub until 1984 when Billy O’Dwyer took over. In 1990 Billy moved on to run a pub in Kilmacud and sold The Willows on to Damian McWeeney whose son Colm still looks after the regulars. 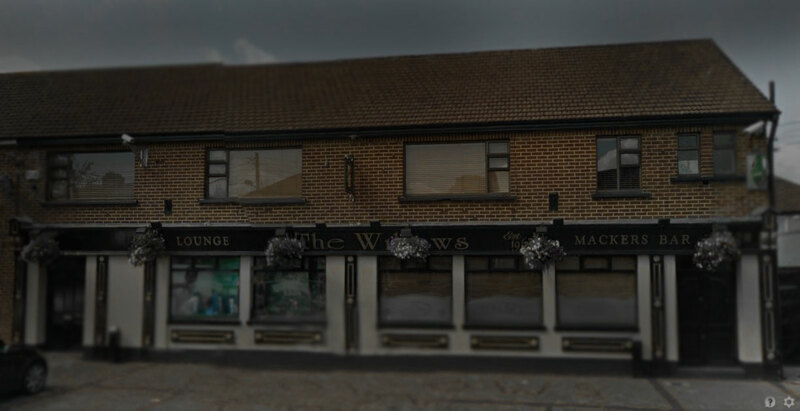 The Willows is a very friendly place, it has all the hallmarks of a well loved local, and you have to be quick to catch the subtlties of the banter and the craic. It has always been, and continues to be an important social centre in which many of the local clubs and groups hold their meetings. Parties in the Willows have the great advantage of being close to home and they can be very enjoyable affairs. The Willows Lounge is cosy and inviting, whatever the weather, whatever the occasion, you are sure to have a great time. It’s the perfect spot to enjoy a refreshing pint in a comfortable, contemporary setting, either with friends or to unwind without. The lounge also has a real open fire to take the chill out of those long winter evenings. The friendly staff and great atmosphere guarantee a memorable visit. With 4 flat screen TV’s and one big screen The Willows Lounge covers all major sporting events, it’s the ideal place to watch the best that sport has to offer! The Willows has a traditional local irish bar serving a truly great pint in warm and welcoming surooundings. Friendly and inviting, the bar is a truly great spot for a bit of banter and good old Irish craic! The bar features 2 flat screen TV’s for all major sporting events and is ideal for the best that sport has to offer! The willows Off Licence is ‘a one stop shop’ for all your take home needs. A wide variety of beers, wine & spirits from around the globe are available, to suit all tastes and budgets, and the staff are always on hand to help with your decision. There are always monthly specials available on popular beers & wines. Open from 12pm to 10pm daily. Seperate entrance off the lounge lobby. The Willows golf society was established in 1993. Golf is a great source of banter and discussion at the counter before, after and in-between all outings – both in the lounge and the bar. Whether you,re a golf enthusiast or a novice, all are welcome to join! There are three full size snooker tables in the upstairs function room which can be accessed from both the bar and the lounge. The tables are well maintained and there is a full bar service available via an intercom connected to the bar. There is a flyer competition held every Wednesday night at 7.30pm. This is run using handicaps to give all players a good chance of winning. Entry is €12 which includes all tablr time (loser does’t have to pay for the light). All new players are very welcome. For those who take their snooker a little bit more seriously, the Willows has two teams in the Dublin Snooker Leagues. The first team entered in 2008, with the second team joining them in 2009. One of our teams is in division 1 and the other in division 2. Both teams have enjoyed some success in the past few years and hope to continue to do so in the future. The Willows has a function room upstairs which is dedicated to our poker evenings. All money is paid out to the winner or winners on the night. The Willows supports many local clubs and societies and helps to raise money for different charities. There is a weekly draw in aid of Cystic Fibrosis plus an annual charity cycle in which many of the local people take part, both young and old. The cycle route ends at the willows where the fun continues throughout the day and well into the evening with a barbeque and music laid on. The Willows has strong links toDundrum Athletic helping with their fundraising events by hosting table quizes throughout the year. There is an annual Good Friday soccer game in aid of charity in which a team from the Bar takes on a team from the lounge, this gives it a slight competitive edge as well as being great fun.